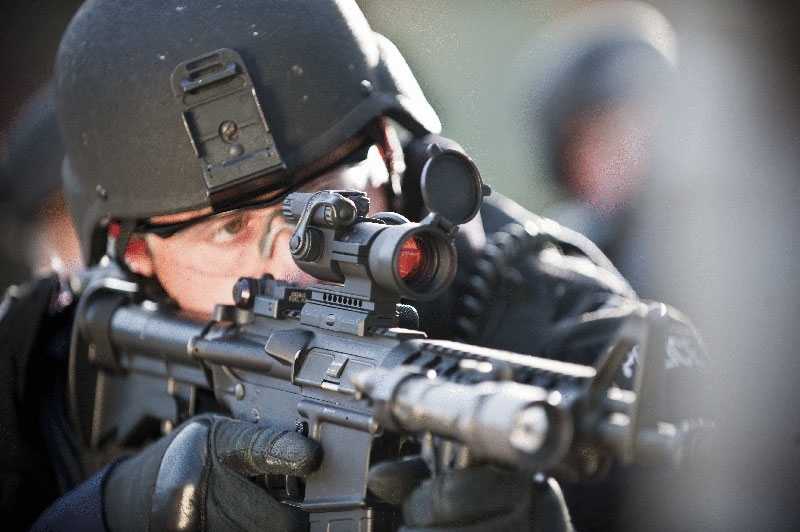 Aimpoint Patrol Rifle Optic (PRO) is designed with input from a distinguished group of current and former professionals, the Patrol Rifle Optic incorporates many never before seen features to maximize this sight's performance within the challenging conditions faced by modern law enforcement. -Always ready - always on. Turn it on for up to 3 years using one single battery. No need to fumble with switches prior to use. -2 minute of angle red dot for accurate target engagement at all distances.• In service date and battery change date reminders makes inventory tracking and maintenance easy. -Enhanced speed on target and increased first shot hit probability when compared to iron sights and magnified scopes. 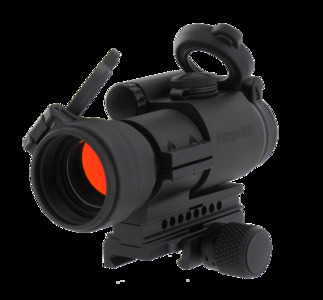 -Compatible with all generations of night vision devices and may be used with Aimpoint 3X Magnifier and Concealed Engagement unit. -Hard anodized aluminum alloy housing. Rugged enough for real world conditions and waterproof to 150 feet. -Threaded front lens opening allows use of screw-in anti-reflection device (ARD). -Front and rear flip covers keep lenses clean. -Transparent rear flip cover allows use of the sight (with both eyes open) even with both covers closed in an emergency. -Battery and adjustment cap retainer straps means you will never lose your pieces. -Removable spacer. Remove for use on shotguns and sub-guns. -QRP2 rail grabber mount. Snap knob three times for a perfect mount. Will not deform your rail like many other mounts. -Recessed lens openings helps prevent against impact damage, fingerprints and scratches.